Nippon Kempo (日本拳法) is a Japanese martial art that engages in full-contact bouts using a full range of techniques wearing specially developed protective gear (bogu kumite). Nippon Kempo is sometime called "Nikken" as an omission in Japan. Developed in 1932 by Muneomi Sawayama, the art places an equal emphasis on striking techniques using hands and feet, immobilization and controls, projections and take-downs. Nippon Kempo is a defensive art that does not restrict students in methodology. From a technical point of view, Nippon Kempo is a martial art system based on techniques of striking and kicking, (atemi-waza), blocking (uke-waza), throwing (nage-waza), reverse joint locks (kansetsu-gyakutori-waza) and ground combat (ne-waza). It uses techniques derived from other arts including judo, jujutsu, karate, boxing and wrestling. 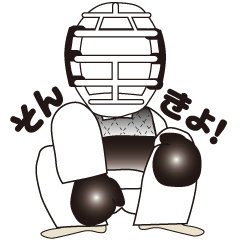 Practitioners fight and practice these techniques with protective gear, as the art is full-contact and therefore men (headgear), do (chest protector), kurobu (gloves), and a mate ate (groin protector) are used. Grabbing a kick, a punch, or locking a joint is allowed, as are knees and elbows to the body or to the face score points. As "headhunting", the practice of trying to score quickly with a punch to the men, is common, practitioners aim to learn and develop head and body movements to avoid, deflect or counter many punching and kicking combinations. In Japan, Nippon Kempo is practiced in over 100 universities and is part of the training in many police forces. Nippon Kempo was also introduced to Mexico, France, Italy, Ukraine, and many many other European countries. Copyright (C) Since 2007 NIPPON KEMPO IMABARI All Rights Reserved.